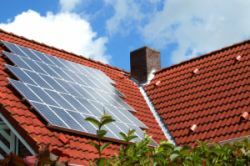 A solar collector is the key component of all active solar heating applications. Solar thermal collectors are used to convert the solar energy we receive from the Sun into solar thermal energy. Solar thermal energy is simply the energy created when sunlight is converted into heat. Don't confuse solar thermal collectors with solar panels. Solar power panels, also known as solar modules or solar cells, convert solar energy into solar electricity. So how do collectors convert the radiant energy we receive from the Sun into heat? When the radiant energy from the Sun reaches an object, the object absorbs some of that energy. The absorbed energy excites the molecules in the object causing them to move. This movement of molecules is heat. Increase solar energy absorption by using dark coatings on the absorbing material of the collector. Dark-colored objects absorb more energy than light-colored objects. Reduce heat loss by using insulation, air and vacuum spaces, or glazing. And once the heat is captured it is transferred to a fluid, either liquid or air, that is flowing through the collector. 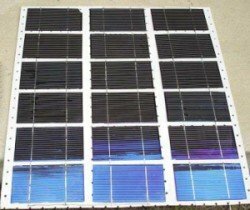 Flat Plate Solar Collector: The most common type of collector. Used for both solar water heating and solar space heating. Evacuated Tube Solar Collector: Used for solar water heating. Best choice for extreme cold conditions or when higher temperatures are needed (above 200 degrees F). Swimming Pool Solar Collector: Used for solar pool heating. Able to quickly and efficiently heat a large amount of water to low heat temperatures. Most pools are kept around 80 degrees F.
If you are planning on taking advantage of the federal solar energy tax credit, you need to make sure the collector you purchase is certified by the Solar Rating and Certification Corporation (SRCC). The SRCC certification procedure tests both the durability and the performance of the collector. 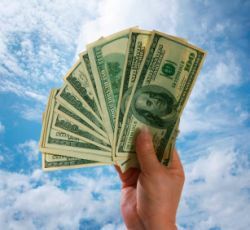 The SRCC certification is needed in order to receive your tax credit. 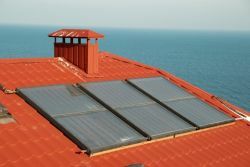 For more information on applications that use a solar energy collector, check out our page on Solar Heating applications.